There is no suggestion that you walk around with a clipboard and itinerary in your hand, but a little gentle planning into where you’re going to go and when, will certainly help you experience everything this vibrant, historic, and downright stylish city has to offer. 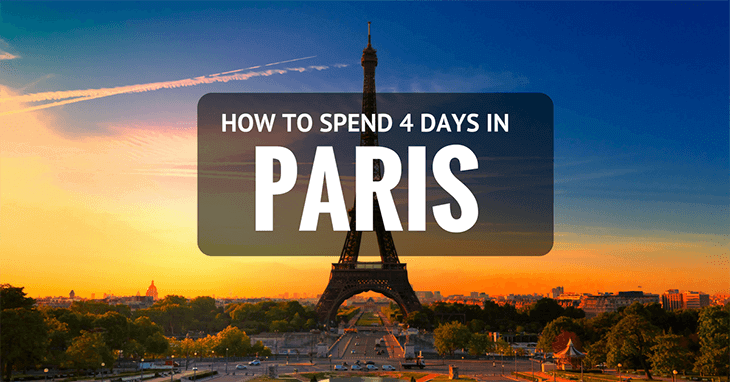 So, let’s assume that you have 4 days in Paris to spend doing the best things possible, what can you do? 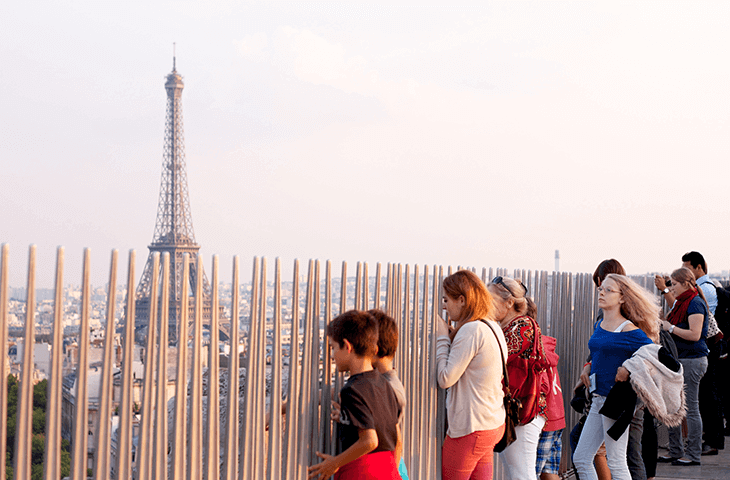 4 Days in Paris – You’ll Need Time to Recover! You are going to be needing comfortable﻿﻿﻿ shoes for this expedition, but remember that you’re one of the most fashionable cities on the planet, so make them stylish sneakers if at all possible! Okay, so 4 days in Paris? From day 1 to 4, this is what you should be doing. Feel free to mix these activities up, but in terms of how not to exhaust yourself completely, these are fantastic choices to give you a leisurely, but action-packed time in the capital city of beautiful France. You have just arrived, so you need to take it slow for the first few hours. Give yourself an extra hour in bed, perhaps a continental breakfast, before getting ready for your first view of this beautiful capital city. First stop? The Champs-Elysses. Now, the earlier you can get here, the lesser the crowds, but this is a capital city, so there are going to be crowds and traffic regardless. 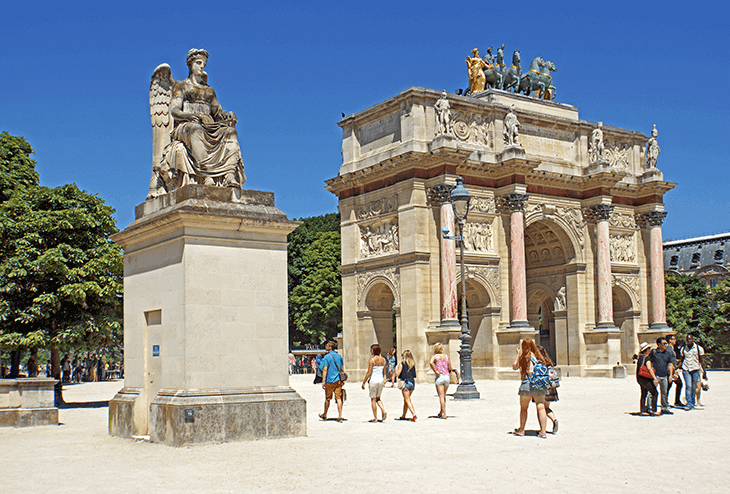 Here you can check out the Arc de Triomphe in all its glory, taking a few keepsake photographs, before continuing your walk down the famous avenue, and through the idyllic Jardin des Tuilleries. Remember to keep your phone charged up and your memory card free, to pack it with memories to take home with you. Next up? Notre Dame. This iconic gothic church is likely to be quite busy no matter what time of the day you go, but the bell tower is going to be the biggest pull in terms of crowds. 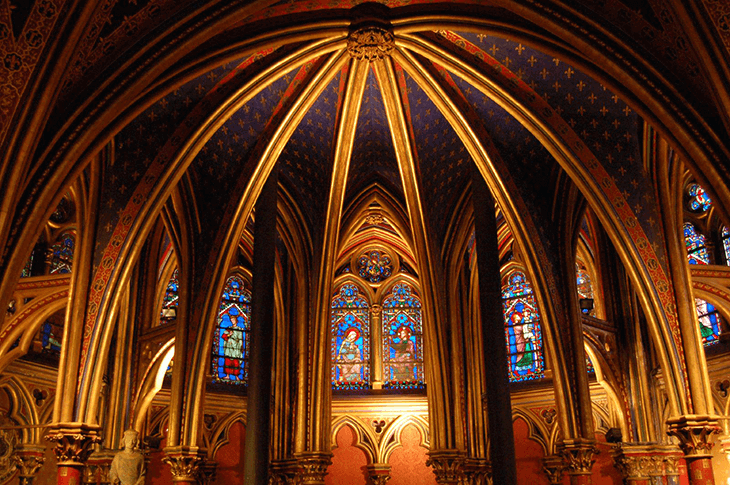 Head downstairs into the old ruins, dating back to Roman times, before checking out the stunning stained glass windows in the Saint Chapelle Church. By this time, the 1st of your 4 days in Paris is well underway, and you might be needing a sit down. 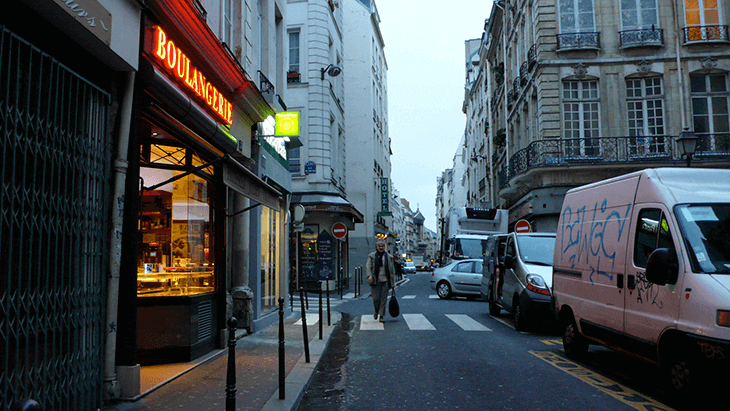 In that case, head to the Latin Quarter. Yes, it’s touristic, but it’s touristic for a reason! There are countless cafes to sit and chill out, watching the world go by and enjoying a Parisian coffee and a pastry or two. 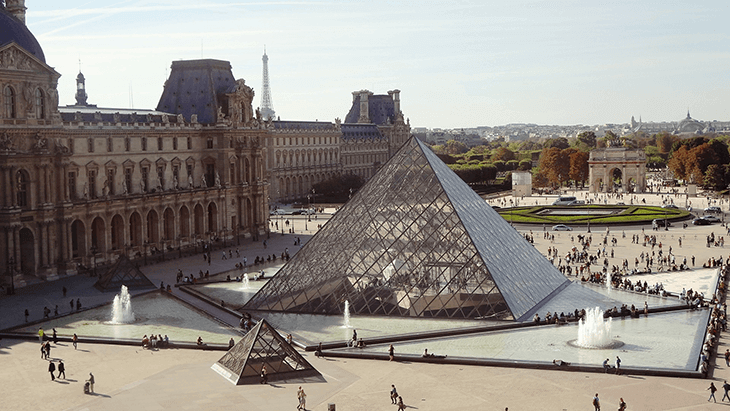 This is the 2nd of your 4 days in Paris and it’s museum day! A good tip here – buy the museum pass, as this will save you cash on the entrance fees. First up, it’s the most famous of them all, The Louvre. Get there as early as possible, and plan to spend a good few hours exploring the various pieces of art – there are over a million! From there, check out the nearby Musee d’Orsay, where you’ll find examples of famous paintings by Van Gogh and Monet, to name just two. 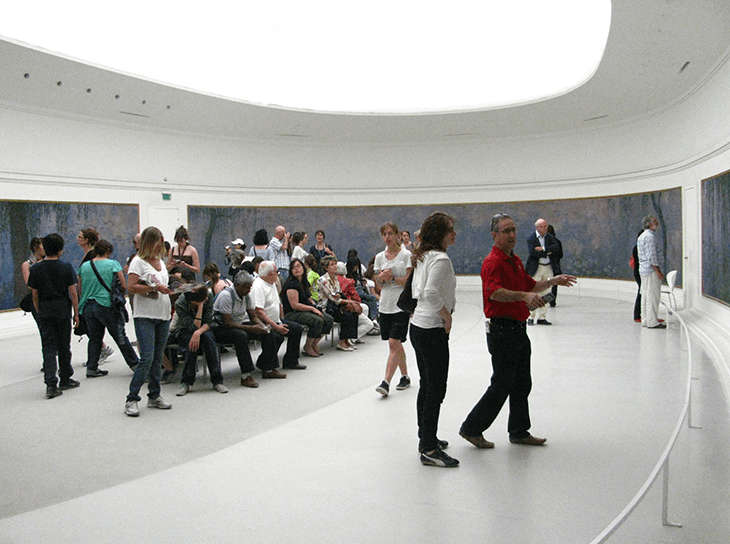 If that’s not enough, the third of our museums to visit in one day is Musee de l’Orangerie. This museum is a Monet fan’s must visit, and should be easily completed within a couple of hours. This is a very cultural day, so you could end it by enjoying a meal and a few drinks, to give you a balance between old and new. The most famous site of them all is your site for day – the Eiffel Tower! Again, get there as early as possible to avoid the crowds, and if you can do this, you’ll manage to get all the way to the top without having to wait very long at all. The views are simply amazing, over the River Seine and even further than that. The afternoon is for chilling and enjoying Parisian culture, so head to Rue Mouffetard where you can check out the outdoor market, the various cafes, and enjoy the street arts too. From there, it’s about retail therapy! This is one of the most famous cities in the world as far as fashion is concerned, and even if you’re not wanting to spend cash, you can certainly enjoy some window shopping in those big named designer stores! Head to Rue Saint Honore to name just one top area, where you’ll be able to drool over Dior and Givenchy. 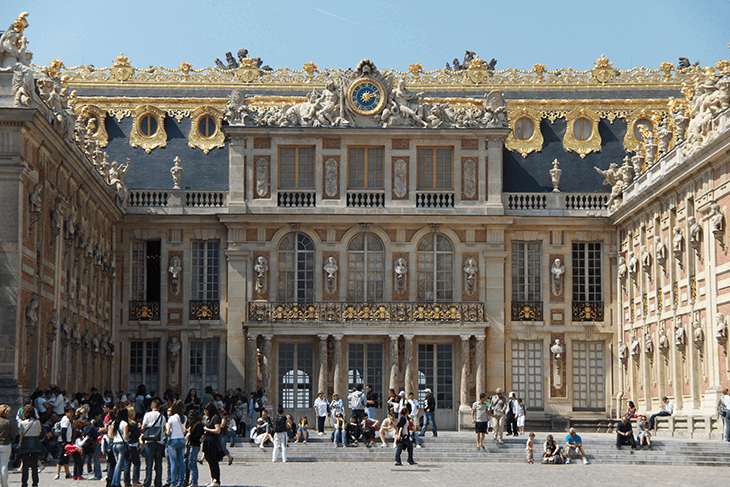 The final of your 4 days in Paris is spent just outside of the city itself, at one of the most majestic and regal of all sites – the Palace of Versailles. You will need to catch a train to the site, and be warned that the entrance fee at weekends is slightly more than during the week. This is one stunning place to visit, and it is actually full of activities to enjoy, including the chateau itself, the amazing gardens, a peasant village (fake, of course), and Marie Antoniette’s Estate. This is a definite must visit, a full day out, and one place you will fill your camera memory card enjoying. The evening should be an equally leisurely affair, ready for your departure the following day. Within 4 days you can see most of the big sites in Paris, but this certainly isn’t going to be the end of your Parisian journey. The chances are that you’ll want to visit again; this is a city which most people return to, and there are countless hidden gems if you take the time to really explore the back streets, and the more traditional, residential areas. There are also a few of the big named tourist items we haven’t mentioned, such as a cruise down the River Seine, but pacing yourself is vitally important; comfortable﻿﻿﻿ shoes are needed for a very good reason! The key is also to stay somewhere quite central, to avoid too much in the way of commuting in and out of the city. 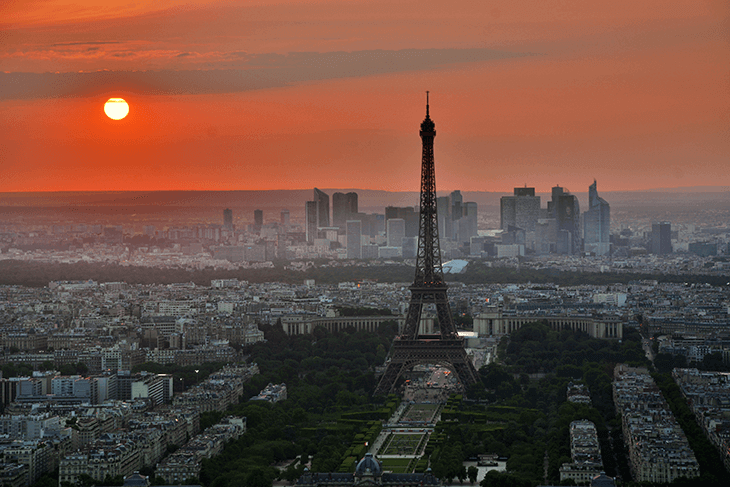 Paris is huge city in Europe, and the chances are that you’ll find cheaper hotels if you look in the suburbs; this is false economy however, as you’re going to spend money on the Metro or the buses, trying to get into the centre – time is precious too! Shop around for a hotel which is more central, and perhaps book last minute to take advantage of deals if possible. If you do have any spare time at all, you could jump on the hop on and off city sightseeing tour. Yes, it’s totally touristy, but it’s very useful for seeing a lot in a very short space of time. This is by no means a must do, but it’s certainly a useful added extra. Will you visit Paris again? The odds are definitely on!